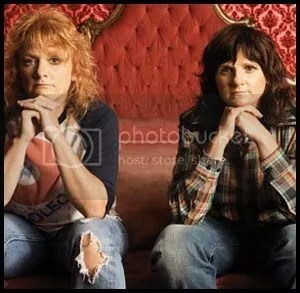 The indigo girls, with no caps, always seemed to understate their success. Finding their audience looked easy, but before the advent of online marketing, the challenges were formidable. 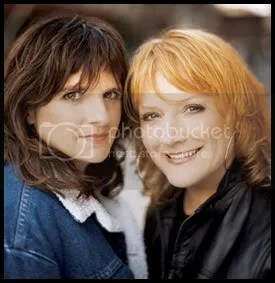 Emily Saliers and Amy Ray, in caps, have made significant contributions to contemporary music over the years through their folk, pop, rock harmonies, melodies and lyric. When Epic signed them in 1988, through the enthusiasm of Roger “Snake” Klein, the label got a duo that had already established themselves as a sustainable touring act in an arc from the Carolinas through the mid-South on campuses, small theaters, and collegiate bars. Along with building this live fanbase, the girls sold an EP and later the album “Strange Fire” independently to where there was momentum for a major label to accelerate the process. They also came to Epic with a song on a new, unreleased album called “Closer To Fine.” Although slightly passed college themselves, they really represented the college marketplace of the mid-to-late ‘80’s. In the marketing department, we were instantly excited about them, as they provided so much of a set-up for us to build upon. The mid ‘80s at Epic had been populated by arena rock bands and many pop hits that were the staples of contemporary radio at the time. Often, the marketing department toiled in support of the promotion department’s success at radio. Many times, these artists were not the most cutting-edged from an image standpoint. The indigo girls gave us an act that was smart, lyrical, and provocative in their own way, with a regional touring base we could leverage. There were enough tools for the marketing department to create a case for the promotion department. John Doelp was a product manager on my staff who had risen out of the finance department. However, he had a history of producing independent records during his college days in Boston. I assigned the project to John and worked as his back-up through this first record. It was one of his early successes that have led to a long and illustrious career at Sony Music. John established a wonderful relationship with Amy and Emily that provided them enough of a basis of trust within the company to get their participation in the marketing activities we needed from them. The girls’ image was also more like a rock band, so we could shoot music videos more in that style, rather than gearing up the ‘glam squad’ that was essential for the images of female pop artists such as Gloria Estefan, Celine Dion, or Sade. There was less pressure, less money, and less risk in creating a video for MTV and VH-1. Although, we always seemed to feel the pressure to deliver on every act. Because they could perform acoustically, Amy and Emily gave us the cost effective ability to transport them to key promotional opportunities, whether that was a radio programmers conference or a retail chain’s convention. Although they didn’t necessarily love the promotional work deemed important by a major label, they were genuine in their likability, and generally good sports about doing the promotional roadwork. Their manager, Russell Carter, although mild-mannered, always stood firmly when the glad-handing requests would go beyond their character. Russell and John Doelp coordinated their efforts and left no stone unturned with the Sony field staff and every Epic department. All this led to a hit album, a Grammy Award for Best Contemporary Folk Album, and nearly a Best New Artist Grammy. However, Milli Vanilli somehow scored that one, and although later forfeited, I don’t believe the Grammy was ever given to another deserving nominee. 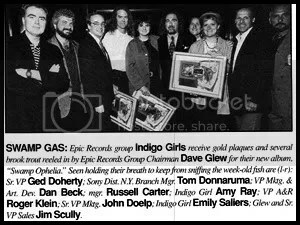 During this time, we also re-packaged their independent album and EP, and the indigo girls were proving to be a very profitable and rewarding endeavor for Epic Records. The success continued through 1990, with the release of the “Nomads, Indians, and Saints” album. It went gold behind the success of their biggest radio track to that point with “Hammer and Nail”. Amy and Emily continued to build their touring base. Russell had worked with an extremely dedicated agent, Frank Riley, to alternate acoustic shows with touring a full band. They worked creatively with the girls, doing shows with guests and friends joining them, performing for meaningful causes and charities, and other unique approaches that were endearing, reaffirming, and connective to the fans. I remember one club tour where the first fan in line got to write the set list for the night! Through this success, one internal issue stood out to us. The two great songs that had surfaced successfully at the Modern Rock radio format had not crossed significantly to pop radio. These songs, as great as they were, did not come easily for our promotional people. These were labeled “work records”, and as such, were not necessarily looked upon with positive anticipation from the promotion staff. The other telling sign was that only one song each from the first two albums actually charted at Modern Rock. It was almost like the programmers were saying “Okay, we gave you one track, now go away.” MTV and VH-1, often considered to be programmed much like large radio stations, by people who actually came from radio, were also a bit non-plus to the “plain” image the girls presented. We sometimes complained that our promotion department listened too much to the people to whom they promoted. However, you should hear the complaints they had about us in the marketing department! In 1992, things continued to change. The girls were now a little further away from actually being college students. They were maturing as artists, but we were dealing with an unforgiving marketplace. “Image” was an underlying concern at the label. John Doelp had moved over to Epic’s A&R Department, and I felt it was imperative that I personally product manage the project. They had earned the right to work with someone with experience and leverage in our marketing system and with someone they knew. The new album was called “Rites of Passage” and the lead track was a stunningly warm and smart song that Emily had written and sung, called “Galileo”. I got an amazingly gifted and extremely successful commercial director named Mark Fenske to shoot the video. He was not used to making low-priced music videos, and he was as stubborn creatively as any director I have ever worked with. At the same time, I personally liked him very much and I so appreciated his genuine enthusiasm for the girls. His concept was fresh in using printed lyrics as a graphic design, in a whimsical and painterly way, to emphasize the artistry and poetry of the song. Fortunately, we started the video production process a few months before the album came out, because I struggled mightily to get Mark to finish the video. We were very near a final edit that needed a couple of tweaks to solve some creative issues. I made a couple of simple problem-solving suggestions that weren’t really invasive, but to my amazement, Mark took offense to them and refused to finish the video. We argued on the phone for days and I begged him to make these very tiny adjustments to finish, but with no luck. I actually had to fly to LA, go to his office/studio, and complete the final edit with a member of his team. Mark didn’t come in that day and I never saw him again. In the meantime, we made these small edit adjustments in literally a couple of minutes. His staff seemed extremely comfortable with the changes. Ultimately, we had a GREAT video that was 99.9% the brilliance of this uniquely talented director. However, one of the issues that arose while I was wrestling with the video was a concerned promotion department. 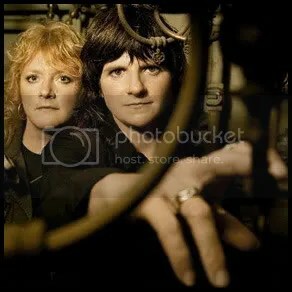 They knew that any indigo girls’ song at radio was a struggle. There was some fear that radio would fight us even harder this time, despite the wonderful quality of the song. So perhaps the enthusiasm was there, but they knew they faced a brutal uphill battle to get “Galileo” played. Listening to the song today, few would imagine that this warm melody and brilliant lyric would face such trepidation. We wanted promotion to lead our campaign with “Galileo” at radio about 5 to 6 weeks in front of the in-store date for the album to set up a meaningful sales surge the first week. This would give us momentum in these very early days of Soundscan, which had only started at the end of 1991. Even in those early days of actual scanned sales, first week sales were proving to be a key perception factor to sales, promotion, and marketing momentum in the immediate weeks after release. However, promotion remained extremely concerned about our chances at radio. They reversed the scenario, and said they could not get meaningful traction at Modern Rock unless we could show real retail strength when the album hit stores on May 12, 1992. So our 5 or 6 week lead at radio was not going to have much impact on sales. Add to this that our promotion people had gotten the read from MTV and VH-1, that they were not prepared to lead on the project and wanted to see some significant airplay before they would add a video. At this point, no one had a great deal of faith in how powerful the video could be. And I was still wrestling with Mark to get it done. The good news was that we knew the indigo girls had a loyal fan base. However, without radio, traditionally the primary marketing driver for most campaigns, how were we going to connect with this fan base? Obviously, we had some significant supporters among the music press. Our press department could assure us that a number of important album reviews could be timed to help us with the first week of sales. 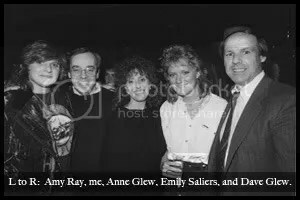 Lisa Markowitz was the publicist, and she had a long and consistently successful history of working the press for Amy and Emily. She knew every writer in the country who could help. The girls could also do a number of key interviews. However, press coverage was never considered an end-all-be-all solution to actual sales. Press worked best in conjunction with other marketing efforts. A strong profile at retail, radio airplay, press, and touring combined was the best solution. 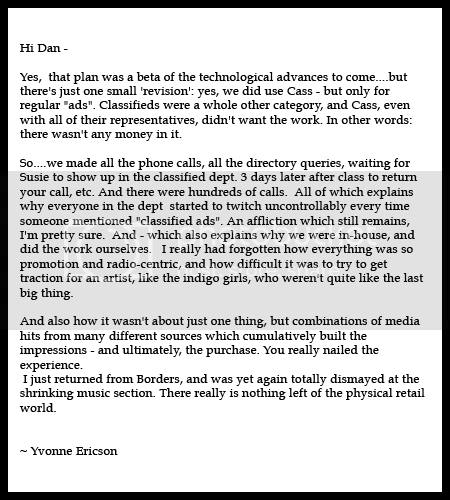 Touring was certainly a fundamental tool in this case, but it worked over the long haul and would only help us in a couple of markets in the first week’s Soundscan. What would happen today? Clearly, the set-up possible on the Internet is the pervasive, timely, most targeted, and cost-effective tool possible. Unfortunately, in the spring of 1992, the net was incubating at a stage unknown to the general public. We were still a paper pushing, postage stamp licking world. No cell phone catalyst. No texting. No email database. 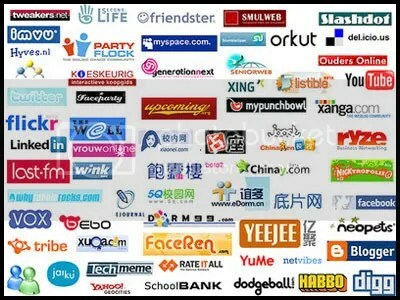 No websites. No mobile phone network. …But we needed to network! We needed to socially connect. The indigo girls had an audience. How could we get enough of that audience, in a concerted effort, to purchase the album the first week of release? We couldn’t afford to buy radio spots across the country. I believe we schedule a flight of spots on MTV or VH-1 or both. However, their core fans of college students and the gay audience was not necessarily glued to those music channels. All we needed to do was to tell these fans the album was coming, the day it would be in the stores, and the title. I went to Yvonne Erikson, a long-time friend and associate, who was VP of Advertising for Sony Music. Many of my contemporaries at the time often felt that we could never advertise enough to really sell through an album. Advertising was just another compliment to a marketing mix of tools, but still lead by radio airplay. Rites of Passage of Rites of Passage of Rites of Passage. 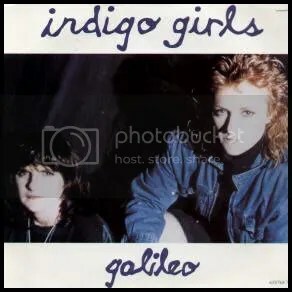 The indigo girls. The new album in-store May 12, 1992. Then, we listed a 1-800 number. The phone was a simple message from the girls about the album and the songs and the guest musicians who played on it. The caller could actually leave a message. Yvonne and I spent somewhere between $5,000 and $6,000 on classified ads. I spent a few thousand more for the 800 number and the in-bound costs. We placed hundreds upon hundreds of ads in hundreds of college and alternative newspaper classifieds. The ads started running about three weeks before the album street date. Yvonne and her staff worked through a placement service called C.A.S.S. that was in existence then. However, the personal work they put into making this happen remains remarkable to me to this day. The first week’s sales numbers stunned everyone. This gave our promotion people the leverage to aggressively present the case for the artist at radio. The great part is that “Galileo” really kicked in at Modern Rock radio and became Amy and Emily’s highest ever charting track at #10. The great Mark Fenske video also joined our package of tools and the album went gold. So we were flying without a Net! In those days prior to social networking and online connectivity, we knew we had to connect one-on-one with an audience that was there for the artist. It was an unconscious realization of how it should happen. The issue was that the technology simply didn’t exist. I remember suggesting in a marketing meeting that this particular approach might have simply been right for Amy and Emily and might not fit other artists, particularly those without a core audience who had more of a radio base. We, of course, immediately tried it again on some rock band who I’ve now forgotten. Like everything then, and now, we tend to fall into that intellectually lazy place where we think one size fits all. Today, we have online successes… and we have artists that just don’t resonate. The organic issues of music, artist, and audience remain the same. …And if you looked through Galileo’s telescope, would the Internet revolve around the music or would the music revolve around the Internet?